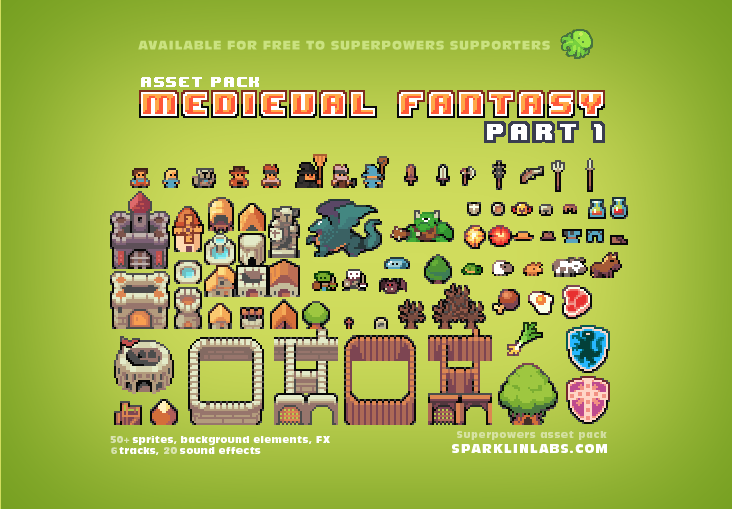 Here you’ll find links to various external sources that contain free game art & sound assets. Now you have no more excuses! We’ll try to keep these up to date, but if you find a broken link, head over to the chat room to let us know! These won’t work out of the box in FRB, unless you want to work with us to support isometric maps through the tiled plugin! You can always write the code to render these yourself, but we want you to share! And as always, you can look on OpenGameArt.org for specific art. Got any other great assets? Let us know!